Zeinab Abd El Hamid famous Arab Artist was born in 27 January 1919 in Egypt. She received her Diploma in Fine Arts from Cairo - Egypt year 1945. In the year 1946 Zeinab Abd El Hamid was married to Ezzeldin Hamouda with whom she travelled to Madrid in the year 1948. She then obtained her Professorship in Drawing from the Central High School San Fernado for Fine Arts in Madrid - Spain year 1952. When Zeinab Abd El Hamid returned to Egypt, she became an art professor teaching modern art at the Faculty of Art Education in Helwan University, Cairo - Egypt. Through all her life Zeinab Abd El Hamid participated in so many exhibitions localy and abroad, she nearly participated in exhibitions in all continents of the world. In Egypt Zeinab Abd El Hamid contributed in both solo and group exhibitions, she exhibited widely in Egypt and her modern Middle Eastern arts paintings were represented in France, Italy, Hunhary, Spain, Austria, Brazil and The United States. Zeinab Abd El Hamid's last solo exhibition in Cairo was held in the year 1991 in the memorial of her husband Ezzedin Hamouda. 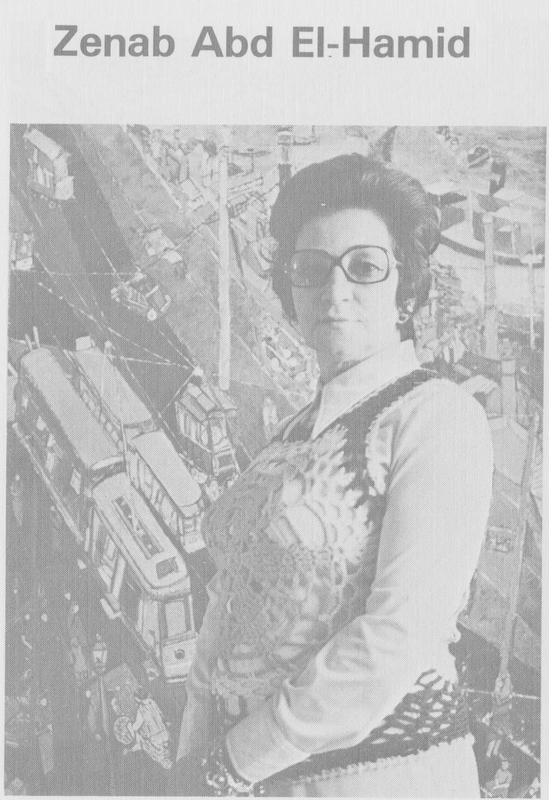 Zeinab Abd El Hamid had been active in the creation of a number of art groups and organized a Contribution to the International Women's Year 1975. She received during her life so many awards and prizes as well as some scholarships and she got public and private acuisitions both in Egypt and abroad. Zeinab Abd El Hamid died in Egypt in 9 November 2002, leaving her beautiful oil paintings and watercolor collection.